SEMINOLE COUNTY, Fla. - Bryant Hawkins, 16, was a giant, but not by choice. He was born with a rare genetic disorder called Marfan's syndrome. His mother, Janice Williams, was on the journey with him. “At the age of 10 he had some growth spurts and different things showing signs in his body," Williams said. The disorder effects the heart, blood vessels, bones and eyes. One of his blood vessels carrying blood away from the heart continued to expand, and Bryant was forced to have major heart surgery during the summer of 2015. Doctors discovered the problem when he went in for cardiac clearance to undergo back surgery. "I was devastated. I thought, you know, with him being on the medication all the years he's been on the medication, I thought he was fine," Williams told investigative reporter Daralene Jones. The surgery was a success. Doctors ordered him to stay on bed rest for weeks, and Bryant was cleared to return to Lyman High School in Longwood, in August. His mother told Jones she filled out the proper paperwork for what is known as a 504 Plan, which outlines outlines guidelines required to get students with physical and mental disabilities through the school day. In Bryant's case, his heart condition required modified workouts in P.E. class, leaving class five minutes early to avoid busy hallways and he couldn't carry books more than five pounds, among other things. The plans are protected under federal civil rights laws. More than 3,000 students in Seminole County Public Schools rely on them. Williams provided 9 Investigates with a copy of her son's school records, which includes copies of multiple 504 Plans dating back to elementary school. "If anything were to happen to him, the plan would be in place so that the school would know what to do if he were to collapse,” Williams said. Bryant collapsed the day he returned to school. 9 Investigates reviewed a report included in the school record provided by his mother. A school employee described Bryant as "laying down on his side having seizure-like symptoms, still alert, but breathing heavily." There is no mention of using CPR or a defibrillator." The emergency action plan for Bryant explains that he is supposed to be monitored for a variety of symptoms including, racing heart, fainting, dizziness, difficulty breathing or loss of consciousness, among other things. If any of those symptoms happen, the school is instructed to call 911 and follow emergency protocol if he becomes unresponsive, stops breathing, complains of chest pain and use a defibrillator as needed. "According to the report, they just told him to hold on, that paramedics were on their way," Williams said. It's been more than a year since her son's death, and Williams said she still questions whether something went wrong on the campus that may have contributed to her son's death. In late February, she received a letter from the district, in response to questions she still has about her son's death. The executive director of legal services, Serita Beamon wrote, "We acknowledge your letter as a Notice of Claim under Florida Statute 762.28. The claim has been forwarded to Mr. Todd Scott, Florida School Boards Insurance Trust for investigation and initial response." 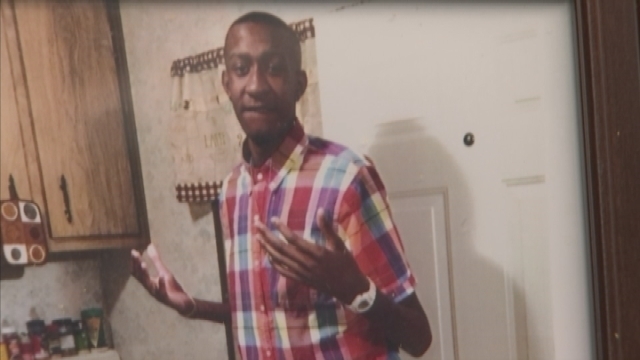 9 Investigates had further questions for the district about the letter and the moments leading up to and after Bryant's death. A spokesperson would only say: "We are always saddened when a young student passes away. Our sincere condolences are extended to the family. As is our standard practice in all matters involving student confidential information, we are unable to comment further on this matter." Hawkins had been on a 504 Plan since he was in at least fifth grade, according to Seminole County Public School records 9 Investigates reviewed, and were provided by his mother. Hawkins limitations were clear. Due to the Marfan's syndrome, he was not able to straighten out his arms. The 504 Plan varied through the year, as it’s evaluated on an annual basis, to determine if changes need to be made. The plans are protected under Section 504 of the Rehabilitation Act of 1973. It is included in the part of the federal civil rights law that prohibits discrimination against public school students with physical or mental disabilities. It is different from an Individualized Education Program, but similar in that it should help provide guidance for how to attend to students with issues learning in a traditional classroom setting. The idea is for the plan to help remove barriers that can restrict their learning. Here is more information about Marfan's syndrome.